Every Linux novice goes through this phase - confusion to decide which Ubuntu to install when now you've got so many versions of Ubuntu coming out of the stable. The aim of this article is to facilitate taking decision by briefing about what distro has to offer and a comparison of their performance. It started as a net-book OS environment and gradually gained favor from Canonical. The much criticized (and rightly so because of its initial instability) desktop environment is now gradually improving in terms of performance and stability. It is kind of a minimalistic desktop with a left hand side strip, accommodating the user's favorite applications, along with a heavy integration to social networks (like Facebook, Twitter, Youtube, etc.) through its unique dash. It is still not as stable as I would like it to be but, I feel, Unity has the potential to challenge the operating system biggies like Windows and Mac OS X. It is intuitive and very easy to use but not as customizable as a KDE. Right now, its use is limited only to Ubuntu. Unity leverages the Gnome 3 ecosystem of applications with Files (forked from Nautilus) as the file manager. 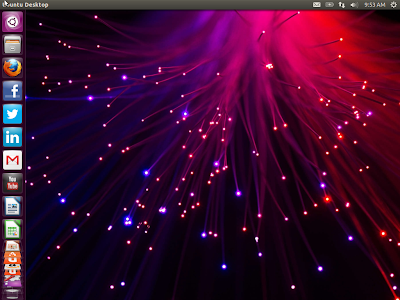 My review of Ubuntu 13.04. Possibly the most popular desktop (based on the queries and visits I get everyday), it has gained more prominence in last couple of years with serious deficiencies and instability in GNOME and Unity. KDE itself had its share of brief instability (in 4.8. * series), but things settled down with the release of 4.9. 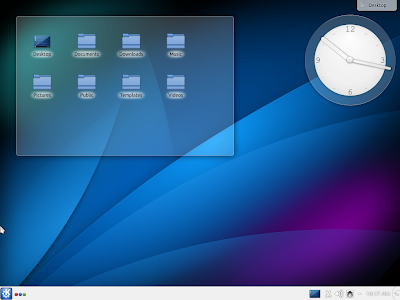 * series of KDE desktops. With the introduction of KDE 4.10. * series, performance has improved significantly. Looks-wise, it hasn't changed much in last one year and it resembles Windows 7 a lot. Further, KDE has its own ecosystem of applications with Dolphin as the file manager and is self-sufficient in that aspect. With easy usage, increase in stability and efficiency, KDE has found admirers among Linux experts as well. Almost every distro has a KDE version to offer. Ubuntu KDE version is called Kubuntu. Earlier it was owned by Canonical (the corporate funding Ubuntu) and now it is funded by Blue Systems (who funds Linux Mint as well). My review of Kubuntu 13.04. My favorite desktop environment! XFCE is lightweight and extremely efficient; further, it offers enough customization options for the users to make it look very exceptional and different. XFCE has gained prominence among Linux old timers who used to prefer Gnome 2. XFCE, too, has some ecosystem of applications and has a power file manager Thunar. Functionality-wise, XFCE is equivalent to KDE and GNOME, intuitive and easy to use. 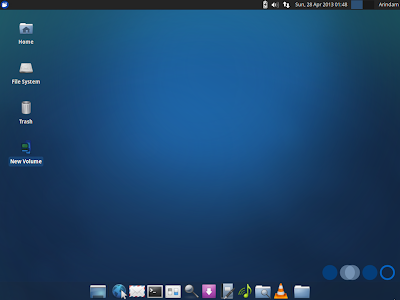 My review of Xubuntu 13.04. A bit less popular than GNOME, Unity, KDE and XFCE but is extremely powerful. It offers plenty of flexibility but requires users to have some prior experience in Linux. For a Linux newbie, at times, LXDE can be a bit difficult challenge than an XFCE, for example. LXDE is lighter than XFCE and works really well on ever on systems with limited resources. If you've a low powered / antiquated PC/laptop, Lubuntu with LXDE desktop environment can work better than other desktops mentioned here. Even on high powered systems, if you follow the "Go Green" motto, LXDE can help you to leave less carbon footprints on the planet. 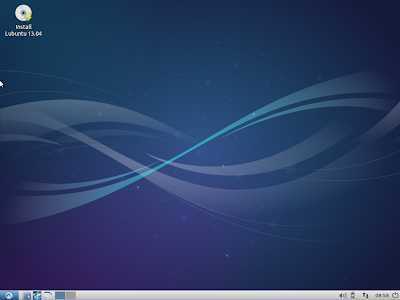 My review of Lubuntu 13.04. Gnome 2 used to be my favorite desktop couple of years ago. It is still the best desktop environment that I have used till date. 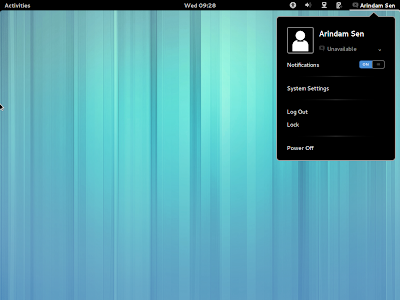 But, Gnome developers thought of shaking up the Linux world and made a lot of drastic changes in Gnome 3. * releases. As an user, Gnome 3 became less intuitive, heavy and inefficient for me and I had to give up using Gnome for production purposes. Imagine a desktop without shut down button! But, with GNOME 3.4 onwards, things started looking better. For me, GNOME 3.8 is actually the best release in the GNOME 3 series and it corrects a lot of vices and inefficiencies that existed in their previous releases. Like Unity, GNOME 3.8 too offers very good social network integration and should appeal to today's youth looking for more than an operating system. My review of Ubuntu 13.04 GNOME. With the brief introductions above, I take you through the actual comparison in a tabular format. All RAM & CPU usage given here are based on the results from the same laptop (Asus K54C) and measured under identical conditions. Zorin OS 9 Core Review: As good as Linux Mint 17! Linux Mint 16 "Petra" Cinnamon and Mate Review: Mint has done it again! Linux Mint 17.1 "Rebecca" KDE Review: The Best KDE spin I have used! [SOLVED] Ubuntu doesn't shutdown properly or hangs at shutdown? Copyright © Arindam Sen 2013. All Rights Reserved.. Watermark theme. Powered by Blogger.